Cold Regions Research and Engineering Laboratory (CRREL) is offering a summer internship under the supervision of Dr. Viktoria Gisladottir. The student is to participate in a pre-feasibility geothermal study for a site in Alaska. The objective of the pre-feasibility study is to look for indication of geothermal potential through review of existing data and field reconnaissance. The student would be involved in data collection and analysis as well as identifying and framing next step/scale field reconnaissance. A successful candidate would have demonstrable skills in geology/engineering- structural, water geochemistry, or geophysics. 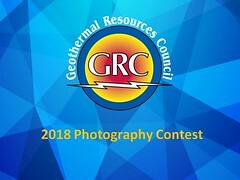 Students with geothermal interest are encouraged to apply. Requirements: Graduate students preferred. Knowledgeable seniors with strong initiative and the ability to work independently considered. Location of internship: Hanover, New Hampshire – travel to Alaska.